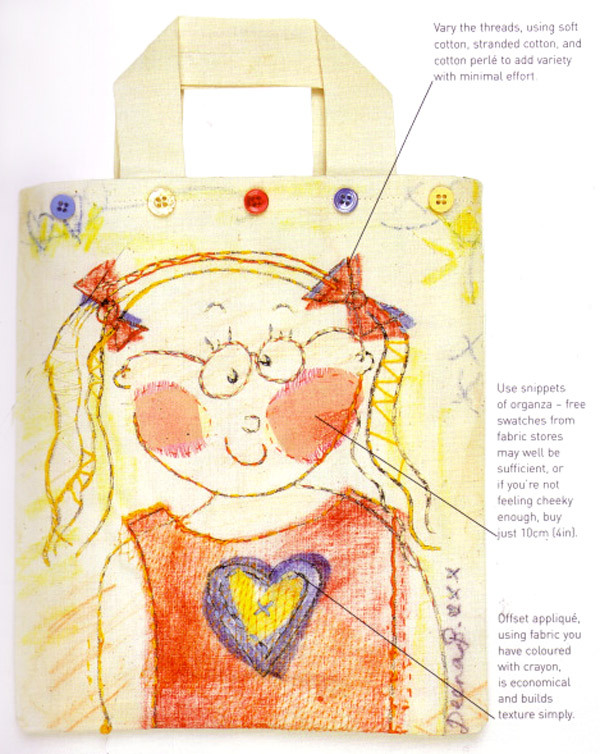 Naive Portrait Bag Tutorial ~ DIY Tutorial Ideas! If you don't have an existing drawing, sketch a simple self-portrait in thick, black marker pen on paper. Or if an existing drawing is too complex, photocopy it and pick out the main outlines on the copy in thick black marker pen. Tape the drawing to a flat surface. Tape a piece of calico over the drawing. Using, the removable fabric marker pen. mark out the seam allowance and cutting lines. 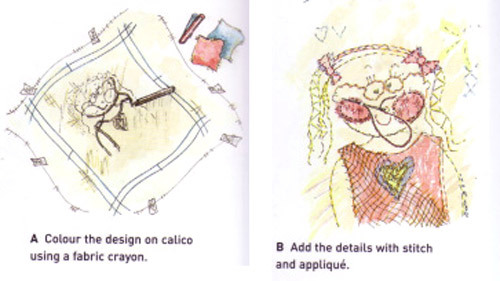 Sketch the outline of the drawing onto the calico and colour it with fabric crayons (A). 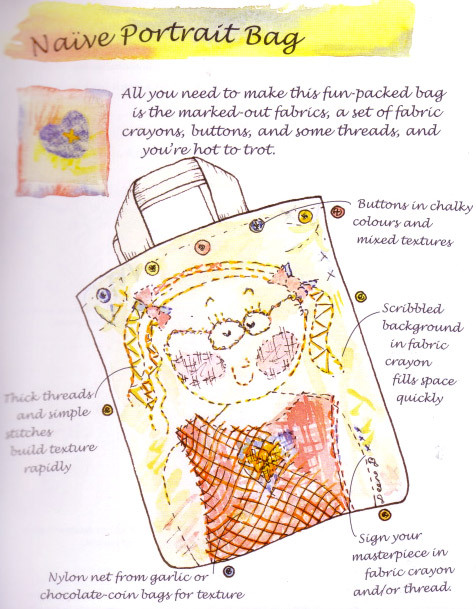 Colour scraps of fabric and net with crayons for applique use. Fix the colours, using the manufacturer's directions.